A modern international airport is an unlikely setting for a ghost story. Yet Bangkok’s Suvarnabhumi airport is so over-run with ghosts that airport authorities have been forced to build special accommodation in an effort to placate the spirits and prevent them from interfering with operations. 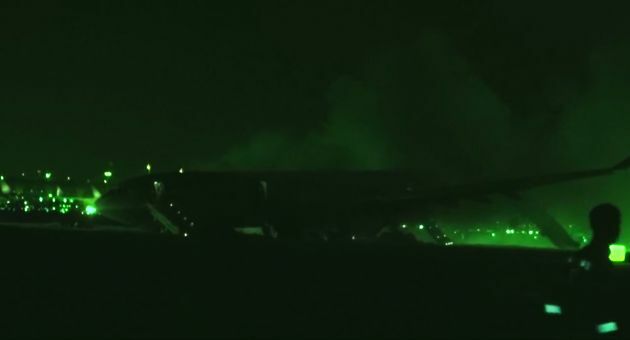 A passenger injured in a Thai Airways crash at Suvarnabhumi airport claimed to have spotted a woman thought to be a cabin crew member in traditional outfit helping to evacuate people from the A330-300 aircraft, which veered off the runway on Sunday night after arriving from China. Thai Airways said that none of their flight attendants wore a traditional Thai uniform that night. All of the flight attendants wore a short-sleeved shirt, which begs the question, who helped the passengers leave the stricken aircraft? Chotisak Asapawiriya, the former CEO of Airports of Thailand (AOT), said that before Suvarnabhumi opened, a number of airport staff saw a woman in traditional costume and heard a mysterious woman’s voice on the eastern runway where the accident happened. On 15th September the Managing Director of Thai Airways, Mr. Sorajak Kasemsuvan, announced that preliminary investigations suggested that “vengeful spirits” were involved in the accident, and that a ceremony of appeasement was urgently required. Mr Sorajak was publicly supported by other senior figures in the Thai aviation industry who agreed that Suvarnabhumi was haunted by large numbers of malevolent ghosts. A former Airport Director noted that “We even had to build a condominium for the ghosts to reside, because the spirits are so many that individual spirit houses weren’t enough“. Suvarnabhumi is built on an ill-omened piece of land 15 miles east of Bangkok and originally called, rather less appealingly, Cobra Swamp. The area was reputed to be haunted by many ghosts and spirits, including snake spirits, a woman in traditional Thai costume and Poo (Grandfather) Ming, an elderly ghost who is guardian of the local cemetery. Rumour has it that unscrupulous contractors failed to remove the bodies therein before beginning airport construction. Many deaths during construction were attributed to the influence of ghosts and a number of problems since the airport opened have been officially blamed on spirits (including an early breakdown of the baggage handling system). 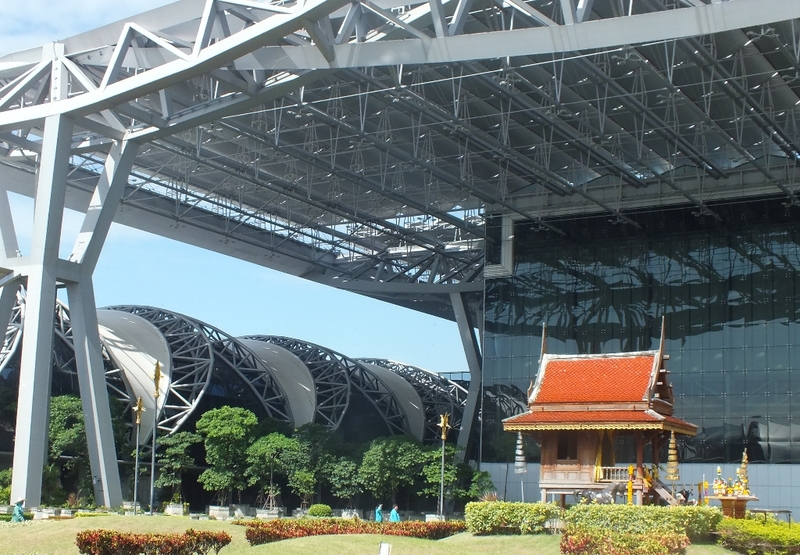 If you pass through Suvarnabhumi airport, you probably won’t see any evidence of the supernatural – the spirit houses are located outside the main passenger areas. Unless you are lucky enough to meet an elderly man with a glowing blue head or a woman in traditional Thai costume. Sightings of both are regularly reported.